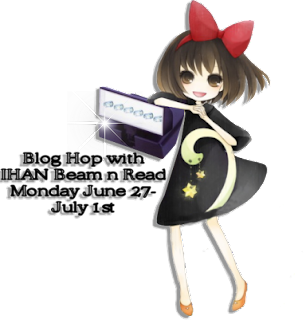 Beam n Read Blog Hop with I Have a Notion! Hi Friends! Along with the Challenge Link up, I get to share this great product with you, and give one away – keep reading! Kelly at I Have a Notion invited me to get to know the Beam n Read, and I was happy to test drive this super functional light! I’ve added mine to my hexie supplies in my new pouch. The Beam n Read is a great size to work into any bag, and perfect for handwork while sitting in a low light room or in the dark – while not disturbing anyone else around you. During the hot summer months, our backyard is the perfect spot to cool off after the sun goes down. Of course I’m not one to sit with idle hands, so I have enjoyed working on my hexies, and my Beam n Read has been the perfect accessory to cool off with! I know you can’t see what I’m working on in this pic – but I sure can! The light wears like a necklace, and completely adjustable, so your light can be right where you need it, when you need it. Beam n Read comes with an orange and red filter, along with a magnifier. The plain white light can be too harsh on the eyes after a while, thus the filters, you can decide which one is right for you! I like the orange. There’s also an on/off switch, but it’s not necessary to use it for normal use. 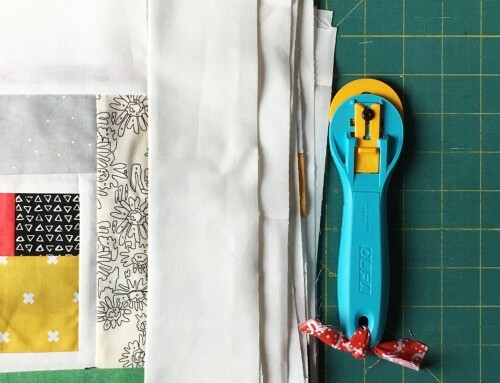 Kelly asked that we share a sewing tip – My sewing tip for working with hexies, is being organized! I work through the pile of prepped pieces, until I need more, and have everything I need in this one pouch! Also, I’ve bought paper pieces in cardstock, and I’m taking them out and using them again. I’ve been pressing the hexies as soon as the paper comes out, and they are set! To be able to take the papers out, don’t sew through them, just sew each corner down with a couple of stitches, catching the folds only. Enter to win your own Beam n Read by leaving a comment right here. 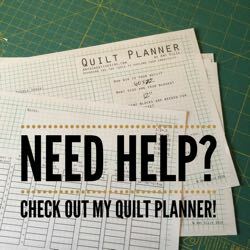 Tell me about your favorite hand sewing, knitting, crochet, or other handwork project – maybe inspire me to start something new too! That’s it! I’ll select a winner on Friday, July 1st, and update the post here. FYI – To keep the drawing open to everyone in every country the winners will be responsible to pay the shipping expenses from Ohio, USA to the address of their choice. My favorite handwork project is the yo-yo quilt I am s-l-o-w-l-y making. I am using a yo-yo maker but I really need the Beam N Read to see when I am sewing them together. just stopped by to say hi and offer support to this wonderful Beam N Read hop….love how you use yours…. My favorite handwork is anything like hexagons and yo-yos because I can just sit and sit and sit some more! It’s especially nice when there is something on TV of an evening! Thanks to you, Kelly and Bob for such a great giveaway and a chance to win!! I have two hand-sewing projects right now: a looong-term scrappy epp diamond quilt and a set of placemats for my sister that’ll have some hexies sewn on. I’ve been using Quilt Patis for the diamonds and freezer paper for the hexies, and it’s been fun seeing how both are enjoyable in different ways. My favorite handiwork right now is hexagons and diamonds. I find that I can only do them during the day because of the lighting. I don’t want to distrub others. The Beam N Read sounds like it would be a good solution to my problem. Thanks for a great giveaway! I am learning to do hand embroidery and I am loving it. I am working through the Embroidery 101 stitch/quilt along at clover & violet blog. It is great fun. Great tips on the new light. My fav hand work is anything wool. Love penny mats! I am currently working on embroidering the next Birdie Stitches block. I am loving having some hand work to do! I LOVE the filter idea! Looks like its much lighter/smaller than the older ones that have been around for a long time. Ok – current projects – I am in love with the shadow boxes – been making ribbonwork and putting at the back of each little shadow box – did the first one for an exchange I was in (only one box on that) with SRE roses – I think it came out cool! Good tools can’t be beat, and that light looks SO much more comfortable than a headlamp (which I’ve been considering for handwork)! I love my hexies but I’m also doing clamshells, and when one of those is done I’m drooling to get back to Pies & Tarts. I use “cover stock” for my templates – it’s a bit lighter than cardstock. Like you I don’t baste through the template; they last a good long time if you don’t! I am aging and my eyes are aging faster than I am. I need all the help I can get with my hand applique. I find that the only place I can do fine hand work is out in the sunshing. That means that in the winter, nothing gets done. I would love to win this light. Love the light. I haven’t done much in way too long yet I find cross stitch relaxing and oh so peaceful. Happy quilting. I am doing a hexie quilt too. I thought I never would do something by hand, but I am loving it. So nice to have a portable project. Thanks for the chance to win! I’m loving the hexagons I’m working on. Thanks for the chance! Wow, what a fantastic tool! I’m 45 but find my eye sight has been dissipating since I turned 40 and I need new glasses every year, that’s how much they change! Even with my glasses, I find it difficult to thread a needle. I’M NOT THAT OLD! My favorite hand sewing activity is sewing on binding, I haven’t yet attempted hand embroidery but I can see it in my future! I am thinking of yet another hexie project.. (I must be crazy) but this one needs to have added embroidery hexies. Ladybugs on hexies would be ever so cute!! I’m into hand sewing now. Paper piecing, to be exact. I’m doing 1 inch hexies and i’m loving it. My favorite ongoing project is the wool pin cushions I have been making. Easy to do and fun to make. Thanks for the opportunity to enter your giveaway! Oh, I so want one of these lights. I have been working on cross stitched Christmas Stockings which are very detailed. One of these lights would be great as my eyes at the end of the day just don’t read the instructions and the little holes on the fabric very well. I can only cross stitch about an hour a night. This light would really help my eyes. Thanks for the giveaway. I have many handwork projects in the works. I’m knitting a blanket, handpiecing a drunkard’s path, and embroidering redwork blocks for a quilt. I guess we could say that these are my favorites. Hands free! That’s for me. My favorite hand sewing thing is appliquing and hand quilting. I enjoy doing this because I feel that I am in my own world, enjoy the craft of hand work. “If” I do win this, my mother in law would love this. Her eyes aren’t as good anymore and she enjoys mending and hemming clothes. This would be a great tool for her. Thanks again for the opportunity to win this. If I don’t, I might just have to go and buy one. I have an English paper piecing project that I carry along to my bee and on trips. It is not a project that has a deadline so it is like visiting an old friend when I pull it out and work on it. I also have my hexi kit all ready to go whenever I need a hand project. I also knit, crochet(some) and do stitchery. Never idle hands. Thanks for the chance to win this handy tool. I am just now getting ready to start a yo-yo wall hanging. I haven’t even started cutting out the yo-yos, so to be honest, I haven’t started my hand stitching. But that’s my plan. I have to get enough Christmas fabrics for the yo-yos (cuz the yo-yos will be made into the shape of a Christmas tree). Loving the pattern, and I’ve held on to it for over five years hoping I’d have enough fabrics to get started. I still don’t have enough, but I figure what the heck, I might as well get started with the fabrics I have. Somehow those other Christmas fabrics will see their way into my stash. Fingers crossed. Lovely giveaway. Thanks! I haven’t done any applique for so long, but I think I should start a project soon! I have been sewing for my granddaughter, who is 2 yrs. Luckily, she loves girlie things so I have made quite a few smocked dresses for her. My favorite is the patchwork. The light looks really neat! My favorite is hand applique on wool. My current handwork project is like yours, paper-pieced hexies. I agree with you about organization being key. I’m keeping mine in one of those darling recipe boxes I keep buying at Michael’s–at last I have a use for them (and an excuse for picking up more when I see a design I can’t resist. I enjoy hand sewing the binding down on a quilt. Thanks for the giveaway! Looks awesome! I love to do hexies too. I’ve punched a hole in each of my cardstock hexies . . . then I can just stick a crochet hook into the hole and pop them out so I can reuse them too. Thanks for the chance. I’ve been enjoying redwork embroidery lately, but my alltime favorite is sock knitting after a day at the sewing machine. I love the zen of making stitch after stitch. I have been needle felting little bird ornaments…which are great if I can keep my dog from hunting and destroying them! I am also hand embroidering facial features on minky fabric (when I’m patient enough to work with the stuff) for little animal baby binkies. My favorite handwork right now is embroidery. I have been working on cottage flowers and the Emb 101 quilt along. I also have a pair of sox that I’m knitting by my spot on the couch. Love the light. Thanks for the give away! I could have used that last night when I was working on some embroidery. I had to stop because the sun went away. I am currently working on finishing a hand sewn quilt top that was started by one of 3 people, my grandma, great grandma or great aunt. My mom got it when they cleaned out the old farm house when they had to move grandpa out. My mom doesn’t know I have it though *evil grin* I am finishing it up for her for Christmas and plan on quilting it by hand as well, 6 more months I better get busy. My FAVORITE hand sewing is hexies and I do them a lot at night. I got a cheap light but it doesn’t work, this looks PERFECT! That looks like a real handy tool, would love to give it a try. Right now along with a few other things I am working on some hand applique using Aunt Millie’s Garden pattern from Piece O’ Cake Designs. I love to do counted cross stitch (currently working on a Christmas stocking for my grandson – hopefully I’ll get it done by Dec, LOL). Thanks for the chance to win. I like to do hand applique, but I always have to be under one of my Ott lights. This light would definitely make things more mobile. This would be perfect for me as I love to do handwork, such as cross-stitching. Right now I’m working on a Christmas stocking for my newest grandson and the stitches are TINY! I really need the magnifier. The light would be great for when I’m stitching in our camper (which I’m in right now as we are on a 3 month trip) or when stitching in someone’s home that doesn’t have good lighting (like my sons’ homes). I would love a Beam & Read, especially for the same reason, sewing my diamonds outside late in the day. Thank You! I SO need one of these. I take my hexagons along on camping trips and this would be perfect for stitching in the evenings while sitting around the campfire with good friends and good music. I love to smock even though I’m not that good at it yet. Maybe practice will make perfect:)) Seeing you use that light outside makes me want one!! It would be nice to sit outside on cool evenings and do a little smocking while listening to the waterfall in my little fish pond. I’d love to try my hand at hexagons as I really love to hand sew. Otherwise I love to crochet little Amigurumi. They are so much fun and great to take with me. All I need is a ball of wool and a crochet hook. Oh… and a new light, please! Current project is a crocheted baby blanket for my new grandbaby coming in December! (Of course I have too many other projects going too, including 2 different cross stitch projects!) A light like this would be fantastic, since my eye-sight isn’t quite as good as it used to be. I would really love to have one of the Beam and Reads–it looks great! 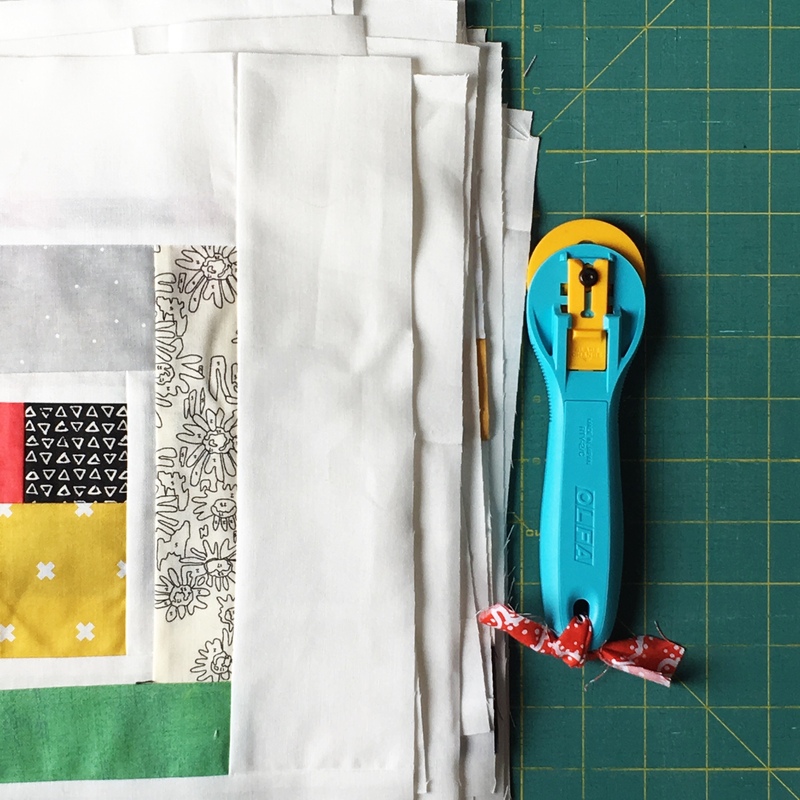 Your tip for NOT sewing through the hexie paper and then pressing the fabric is one I will definitely try! I can’t say that I like any handsewing at all. The only handsewing I do is my binding. I was just thinking how useful this would be with my kindle! Love that you can wear it around your neck. Would put this prize to use immediately. Favorite hand sewing is cross stitch. But arthritis is getting in my way. Love the light…what a neat blog. Sadly, I can’t see very well, so I don’t do a lot of handsewing anymore, but I used to loooooove cross stitch! Now my favorite hand work is a double-ended crochet hook. I’ve learned to make a shell-type stitch, and it’s easy to do as we travel. Knitting needles always clack & stitches are easily dropped as we travel the bumpy roads…crochet stitches drop less often & are more easily picked up when they do get dropped. Thanks for the review & giveaway!! Oh my gosh. That looks just amazing! I NEED one of those so badly. I am constantly having to pull out a flashlight in my sewing room in certain spots of my room and most times am stuck holding it in my mouth to see. VERY frustrating with some dark with shadows in those spots so I must have additional light. And also on trips because I just hate using the overhead light in the van while driving because I don’t like bothering my husband when he’s driving like that. I’ve never seen this before. LOVE IT! I love to crochet with lion brand homespun yarn. It feels extra soft once it’s been washed. I love seeing the hexagons. 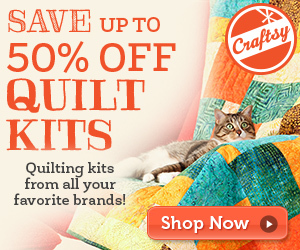 I haven’t tried them yet but some of my friends have made amazing quilts and table runners. Right now I am working onthe little Birdie block of the month and also a pattern with teapots and teacups. I enjoy crocheting and have been making small flowers to use for cards. The Beam n Read would make seeing those tiny stitches so much easier. Thanks for the chance. Thanks for the chance to win one of these wonderful lights. Right now I am knitting dishcloths, but love to embroider, make yo-yo’s and have a grandmother’s flower garden quilt out of hexies still in the works. I am adding yarn handspun from silk saris to one of my wall hangings and am loving the feel of it as I sew it down. I have all of the supplies to make hexies, but haven’t had a chance to start on that yet. I also do the occasional hand applique, but not much. I loved to do counted cross stitch before quilting took over everything. It’s not very convenient to travel with and takes a fair amount of concentration, but the end result is just so beautiful! What a cool tool! I make dolls, which means I’m sewing by machine and hand, knitting, crocheting and embroidering… in every projects. Keeps it feeling fresh! But I would love something like this for when traveling in the evening and my DH is driving. 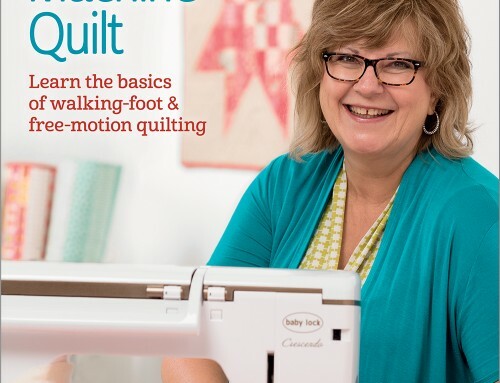 Sewing the binding on a quilt – although that wouldn’t be much of a cool activity with the warm quilt sitting on you would it? Our evening lighting is so bad, this would be a great help! I’ve been making fancy period hats to sale at the Utah Shakespeare Festival. Some I can do mostly on machine but the fancier ones are mainly done by hand. Much as I love to machine sew, I also really enjoy hand work. Handwork project? Um, er, well. That’s something I avoid, as much as possible! I do bindings by machine, and seldom do anything by hand, they complain too loudly when I try! But this light would be perfect for reading, and mostly for lighting up my sewing machine bed. I started a yoyo quilt a long time ago. It’s a great take along project. The light would be great to use while sewing on this project. Then maybe it would get done!!! I feel like this is something I could really use especially with my old eyes. I have a cross stitch piece that I have stopped working on because I couldn’t see it so maybe I can finish it. This looks like a perfect product for those of us need more and more light as we age. Well my eyes age, and the rest of me is still…ok, forget it! I need more light these days to do handwork. lol I had to stop working on my handwork quite a while back, and if I had one, I could pick it back up again. I was hand piecing a Jinny Beyer pattern called “Columbia” which has a mariner’s compass in the center. I was piecing the center into the circular hole when I had to stop working on it. I do miss hand piecing, and would love to win one of these lights so that I could get back to it once again. Great giveaway. I am working on binding a quilt right now. Really could use the extra light! I have just finished 3 baby quilts for the newest( my fourth) grandbaby. Now I also have a crochet blanket on the go. I am working on a hand embroidery Christmas wall hanging. This light would sure come in handy. It looks fabulous! Thanks for the chance to win. I have two favorite handsewing projects underway — one is hexies for a GFG queen sized quilt (this is a lifetime project) and the other is birdie stitches and little embroidery. 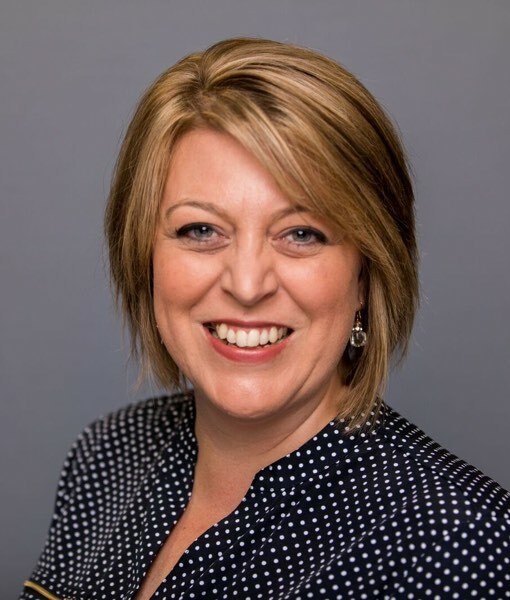 Thanks for hosting this blog stop. My ole eyes can use some more light when threading needles. My favourite projects at the moment is quilting a baby quilt for my new great-niece, and knitting socks. I’ve been looking for a floor OTT light, this sounds soooo much better! Thank you for the chance to win one. Hi, I would love to win one of those great lights. I have been working on Eleanor Burns flower garden squares. It’s so hard to see when working on my blocks while on the sofa at night. I am also making hexies and quite enjoy making them. They come together so quickly and give such a sense of accomplishment. Not to mention that they look so pretty. The Beam N Read would be perfect to help me with my applique as I unwind at the end of the day. I would also like to have my mother try it as she suffers from macular degeneration and needs special lighting. This would give her great lighting and free both of her hands to do different tasks as well as reading. I hope I win! She would be so excited and so would I! I love to make fabric yo yo’s. This is one TOOL these tired aging eyes MUST HAVE!! Not only am I older, but newly diagnosed with diabetes makes for some very poor vision. Other sources of light add heat…no no no…not when I have my own “personal summer” year round if you get my drift??? LOL!!! A light source with little to no added heat…I think I’m in LOVE!! Thank you for sharing the information the the Beam N Read. It looks like something I really need. I do a lot of applique with cottons and wools. 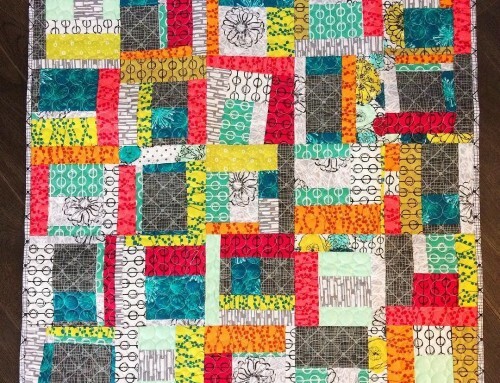 Currently I am making a quilt called “Sunny Days” from Becky Goldsmith’s and Linda Jenkin’s Book Curl-Up Quilts. The patten is nine patches blocks made of scraps of neutral beiges and an applique of a single flower on every other block. Several years ago I attended an applique workshop by Becky Goldsmith put on by our quilt guild. It was one of the best workshops I have ever attended. I love her method and she’s an excellent teacher. I have recently started a Halloween tablerunner in wool, with a big pumpkins on each end. I love doing wool applique as it is more easy, fun, and forgiving. I keep a hexie project in my purse, too. But I’ve printed hexis on freezer paper, cut them out, then iron onto 30’s repro prints, then cutting out 1/4 inch from the paper and sewing on the paper edge. I reuse the freezer paper templates too. This cute little light would really help me in low light places! My favorite hand project is English Paper Piecing – but I’m doing a different block with jewel-shaped stars. No measuring, no precision cutting. Love it! I’m looking forward to embroidering some squares for a quilt. The Beam N Read would be a wonderful addition to my collection of gadgets and a most useful one, too. Madam Samm said to say Hi! Enjoyed your piece on the light-very interesting. I am working on a cross stitch piece by Lizzie Kate. thanks for the giveaway. I am a really ‘handwork girl’. I always have something on my knittingneedles,l ove hexies(, love appliqué work and like Amy I love to sit outside in the evenings working a bit…. I never heard of this light, would love to win!!!! My favorite is wool applique. I like something where I dont have to take tiny stiches and the peices are durable for travel. That great light would help! I love to do crochet, especially with threads to make doilies and edgings for pillowcases and such. Yes, a real must have! I could really use it in my sewing room when it gets a bit dark! My ever favorite crafting is stitching! It relaxes and you always get a beautiful result. My carry along project is always needlepoint. I can point to each finish and say that was baseball 2006, etc. I do not often take sewing projects with me. As I get older, I think the light is something I need, not want. Thanks for a chance! I’ve been looking for a Beam n Read to use for my embroidery work. I noticed one of your pics has a phone number. I assume you can order one of there. My favorite handwork is embroidery something that my Dad taught me to do over 50 years ago. I think that I am going to do hexies .I have been watching everyone’s projects and I have been won over. My favorite hand project right now is an embroidery BOM. I’m new to embroidery and I love learning something new. Since I am always on the move, portability is key! What a cool idea! I would love to win that. I most favorite handwork project is hardanger and/or cross stitch (or a combination). Watching the stitching in the porject facinates me. I haven’t been doing much lately because I have gotten back into my sewing mode which is my second favorite. Then there is knitting which I really only like to do when it is cool (you know – Fall and/or Winter and/or early Spring). Thanks for all you inspire (especially your hexies). I love applique with a little crochet and (rarely these days) cross-stitch so this little light’d come in super handy. Thanks for the giveaway!! I love to do embroidery but, with my eyes, I ALWAYS have to have a magnifying glass and sometimes the light coming in the window is just not right – either too bright or not bright enough. The filters, the magnifier, the light, sounds perfect! I love doing embroidery projects and I am also working on some yo yos where I think this would come in to handy. Right now my favorite project is an orange peel quilt that I’m working on. I have everything prepped and in it’s own little bag so I can just grab it whenever I go somewhere. It would be wonderful to add the beam n read to my little bag because sometimes there just isn’t enough light to work on them when I’m out & about. Thank you for the chance to win one. Whoohoo, another chance to win the light. This is so great!! Well, I guess we all reach that time when we need a little help to see better when we are crocheting, doing hand work or just reading. This looks like the thing that would do the work. Just want to say thank you for the chance to enter. Thanks for your blog, I am new to following it. But I will from now on. Keep giving us all these neat ideas and help. Thanks for a chance to win this light. It looks great. I like to work on simple little embroideries that I then turn into small wall quilts. This looks like something I could use. I’ve always got some kind of handwork going. Usually embroidery and sometimes working with wool. This light would sure brighten things up. Thanks for the chance. Tried to post once. I hope this doesn’t comment twice. Anyways, this light would come in handy when I work on my embroidery and on my wool pieces. Thanks for the chance. I think the Beam N Read would be really helpful when I’m doing some needle felting. So I can find all those stray fibers and get them tucked in. Would love to win this–would be soooo helpful. What a great idea to use this light so you can stitch outside in the evening! My favorite handwork project right now is knitting socks–because they are small, and I don’t have to think about them they are perfect for me to work on at swim meets this summer. I’ve been knitting up a storm and this light would be perfect in the evening outside on the patio. Thanks for the chance to win! This light would be very handy doing my embroidery projects and also sewing the binding on my quilts. Thanks for the chance. I’m getting ready to start a hexie adventure and this would come in handy! I like to knit socks while traveling and have to stop at dark because of the light so a light that directs its beam on the project would be perfect. Thanks for the chance. Complete REVELATION on how to sew those hexagon corners down. Very nice stitching. :) Thanks for the tip. You are one smart woman! Right now, I’ve been doing a lot of crocheting. But I also love EPP – just don’t have one of those going right now… I would love to use this for car rides when I get so bored! 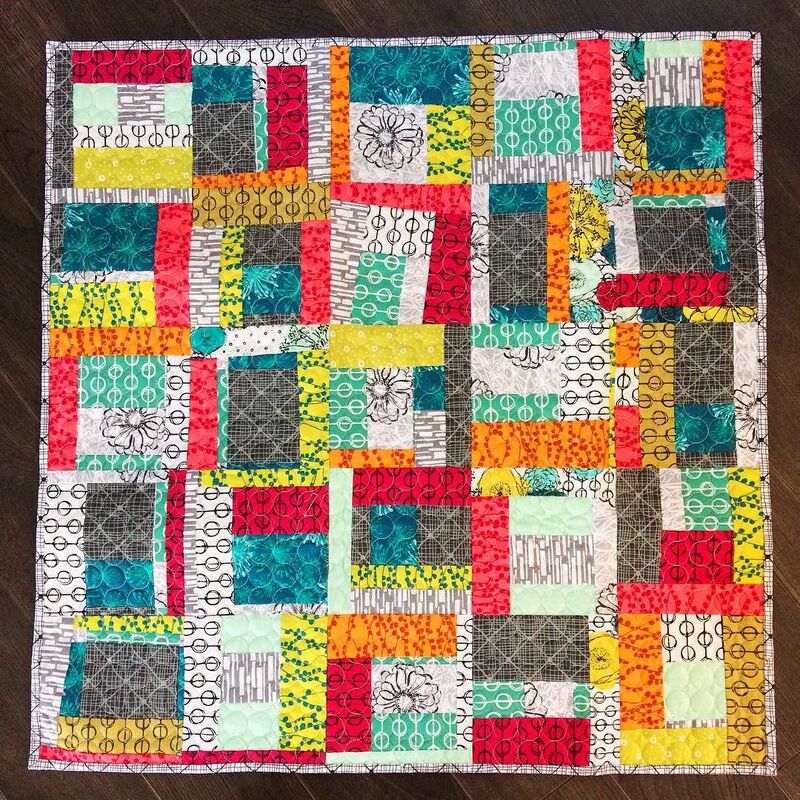 I love a little hand quilting in accent colors! What a great give-away. I love quilting on the machine but also with hand. Furthermore I make clothes and lingerie, lovely. This looks like such a great tool! I hate hot lights beaming down on me so I can do my hand work. I love hand quilting and redwork. This would be great for both! and of course doing bindings on finished work! I used to do alot of embroidery but got away from it when I started quilting. Lately I’ve been seeing quite a few quilt-a-logs that combine piecing & embroidery so I’m going to try one. what a good way to enjoy both my loves. Wait! You aren’t supposed to sew through the paper? Oh dear! Love the light, looks like a great tool for hand applique. Thanks for the review and the giveaway. I’m not entering…Just wanted to say hello and say what a great post this is. Hi Amy, I’ve been working on a hex quilt for 10 yrs and it’s been my traveling project. Recently I decided to try to finish it this year, yes please wish me luck. If that wasn’t bad enough, I started another hand quilting project last year with hexes in between the blocks. So now you understand why I need the Beam N Read Light. Thanks to you, Kelly and Bob in Marketing for the great giveaway. I’ve just this week started some redwork for the first time, and can see it could become addictive! I am a big fan of embroidery work and this light would be so helpful especially at night while watching TV. I haven’t done much handwork in recent years because I have a hard time seeing what I’m doing, so this light would be really helpful. I’ve done a lot of crewel embroidery, but what I like to do these days is counted cross stitch on garments – size 3 perle cotton is great for a sweatshirt because it shows up well. Ooh, this looks so handy!